#33 – Bad habits. Share yours and why you won’t give it up. Ever. // For the next 50 days I am doing Fat Mum Slim’s 50 things to blog about challenge – in no particular order. 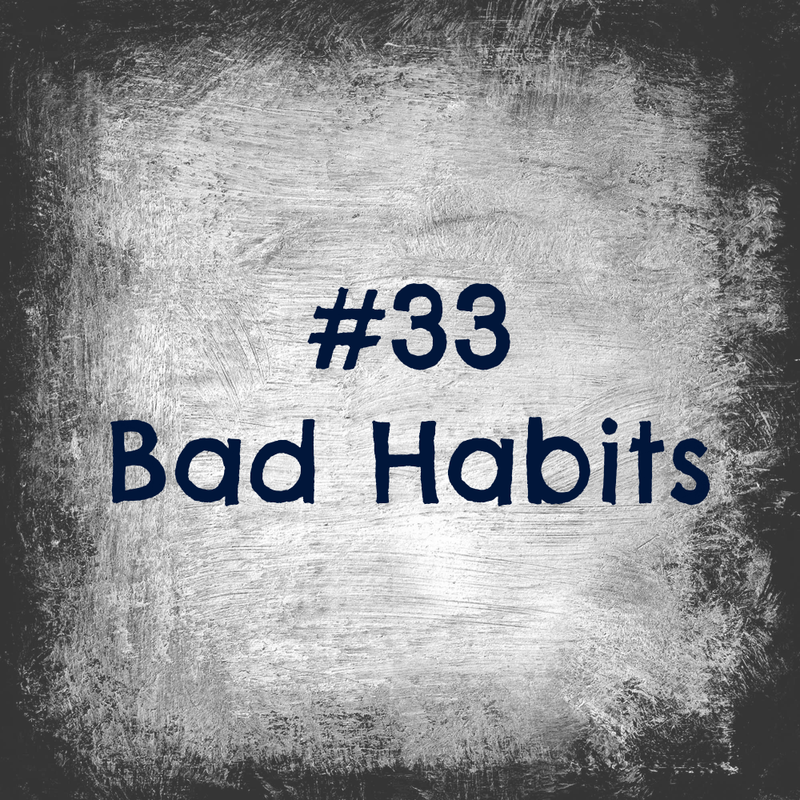 Today’s post is #33 – Bad habits. Share yours and why you won’t give it up. Ever. I really need to remember to think outside the box with these questions. This one was quite simple in the end but this question has had me stumped for weeks! I have MANY bad habits, biting my fingernails being the first one that springs to mind. But I have stopped doing it properly TWICE, once before our wedding and for some strange reason while I was pregnant and even got to little man being a few months old before I resumed nibbling. I live in hope that one day I will stop permanently! So that’s not something I will say I won’t give up – ever! Next bad habit. Procrastinating! I used to be terrible at this, or do I mean I used to be really good at this? I even took up guitar once to avoid uni assignments! I am all over this now though! For example my current challenge is staying on top of our washing, and I regularly create my own Mount Washmore of washed clothes to fold and sort. Pre baby I would ignore the pile of dirty washing until I was left with no clothes and now I aim for ‘washing basket zero’, the stay at home Mum version of ‘inbox zero’. So what is it that I can’t give up? My crippling social media use. I fully admit I love social media. Not sure how I’d be going at home all day with a baby without it! I have given it up for probably 4-6 weeks a couple of times before, and could do it again but right now its going to count as my bad habit I’m not giving up! I’m not using Twitter much at the moment but am going gangbusters on facebook and instagram. Facebook I use to stay in touch with my mothers group and also some friends that have recently had babies via a secret group so we can chat about mundane things like ‘WHY OH WHY WILL THEY NOT GO TO SLEEP’ without boring the rest of the world..to sleep. I’m also linking my blog posts to my facebook page ‘jentopia’. I try and do most of my baby related status updates on this page to keep my personal page free. I’m conscious though that as little man gets bigger I don’t want to be stuck with my nose in my phone all day, it would be awful for him to think I’m ignoring him. I’d say that as he gets mobile and starts crawling that I will start curtailing my phone/computer use. So that’s my bad habit! What about you? Is social media overuse your bad habit?